KORDOBA CORE24 is an integrated complete solution for the entire processing of financial transactions in loan and deposit banking using all channels of distribution. The core banking system allows for a simple integration of external systems via open interfaces, as well as a standardized connection with partner products. 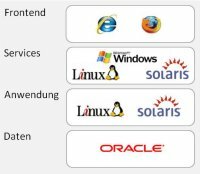 A full range of service in the Application Service Provision. With this application you can cover basic technical and management functions and completely process banking operations for loan and deposit banking. KORDOBA CORE24 meets the highest requirements set for core banking systems through its modular structure and flexible parametrization and extension possibilities. Six out of ten direct banking accounts in Germany are smoothly processed by KORDOBA CORE24 day and night. 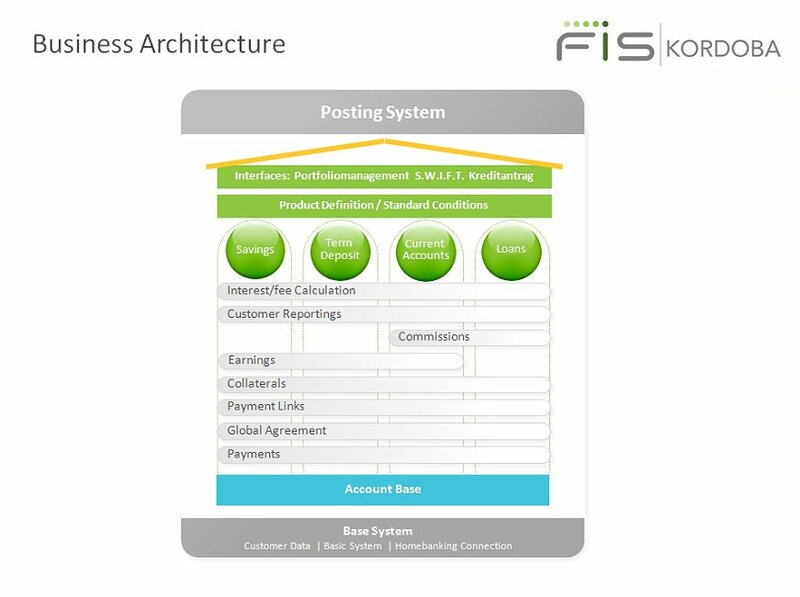 FIS KORDOBA products are platform-independent and flexible.